Over the past few weeks, Artlink Central, supported by NHS Forth Valley, have been working with local people diagnosed with dementia to create large leaves for the 30-foot Wynden Tree sculpture created by artist Alex Rigg as part of Helix Day on Saturday 14th September. Helix Day marks the completion of Helix Park and invites the public to explore their new greenspace. The day will also feature a programme of artistic displays and performances produced by UZ Arts. Artlink Central is well-known for its work across Forth Valley with people in prison, hospitals, schools and communities who face barriers to expressing themselves, to their health and wellbeing or to their learning. 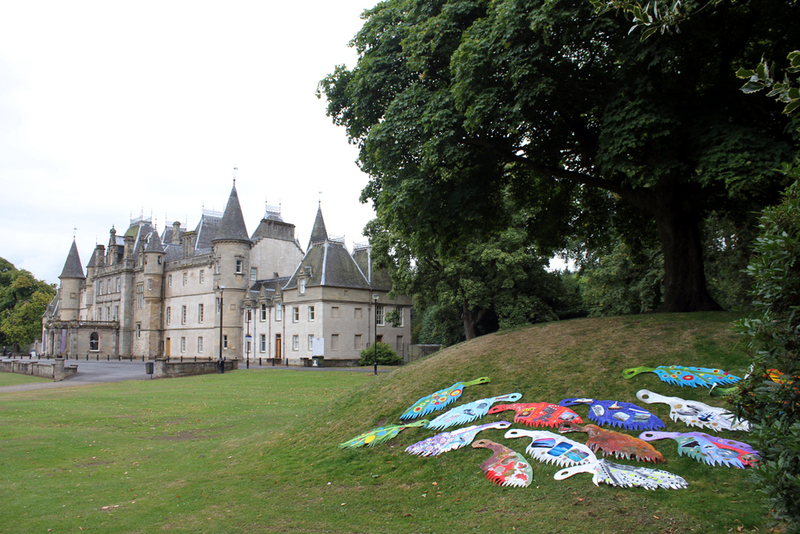 The leaves were created across Ward 4 and 5 of Forth Valley Royal Hospital, supported by artist Michele Mathieson, and in community settings in partnership with Falkirk Council’s Joint Dementia Initiative Services, supported by artist Christine Hilditch. 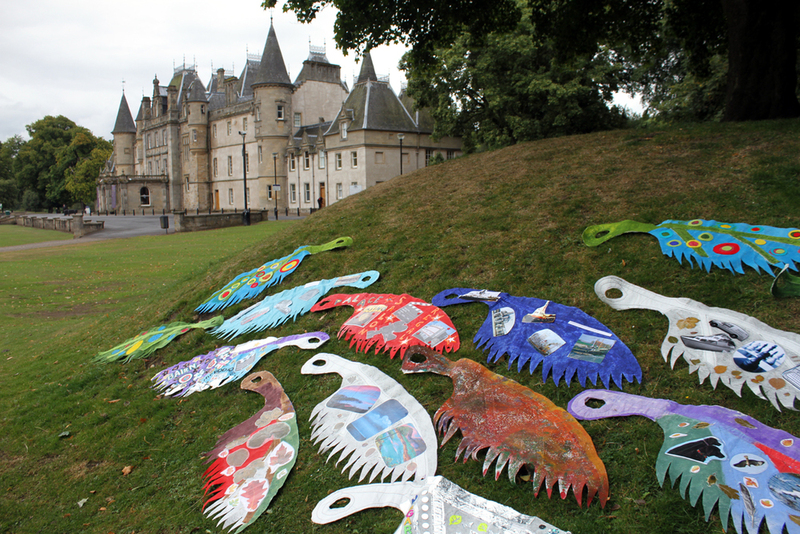 The leaves were created by exploring the interests of patients with regards to local heritage and nature and reflecting local landmarks such as the Bo’ness Hippodrome.